Tucanos Brazilian Grill in St. Charles has been a great supporter of the OASIS Food Pantry for a number of years. They are currently doing their annual donation drive for OASIS. They provide an envelope to every customer which contains an OASIS PAMPHLET explaining our mission. Included in this envelope are coupons for their Grill. In the past this campaign has provide sizable donation to support the OASIS Mission. Please say thank you to them by enjoying some of their delicious food and festive churrasco style dining. They are located at the southeast corner of exit 229 on Highway I-70 (formerly the Noah’s Ark location and now called the Streets of St. Charles). Harvester Christian Church is offering a blood drive and free health screenings on Monday, August 29th from 3-7PM. The free screenings will include physicals, health screening for kids, blood pressure, spinal screenings, PH testing, weight and BMI, eye screening, blood oxygen levels and fitness test-range of motion. This is free to everyone. Saturday Jubilee is THIS Saturday! Support your local food pantries by shopping at participating Schnucks, Dierberg’s, Walmart, Midtowne Market, and Shop ‘n Save stores this Saturday, July 30th, from 9:00 am – 3:30 pm. Click here for a map of the Saturday Jubilee locations in St. Charles, Lincoln, and Warren counties. If you want more information, contact Mary Szpatoski or call (636) 978-2277, ext. 401. 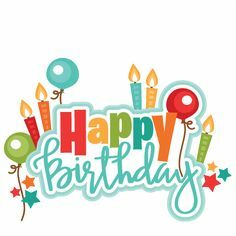 July 26, 2016 By oasisfpIn NewsSaturday Jubilee is THIS Saturday! The Western St. Charles County Chamber of Commerce will be hosting their 4th Annual Back to School Family Fair on Saturday, July 30, 2016 from 8 a.m. – Noon at Morning Star Church. Morning Star is located at 1600 Feise Road, Dardenne Prairie, MO 63368. Free school supplies will be given out to children at the event. Each booth will feature a fun activity for children to participate in. You will have the opportunity to learn about great businesses in the area and discover how those businesses can serve your needs. 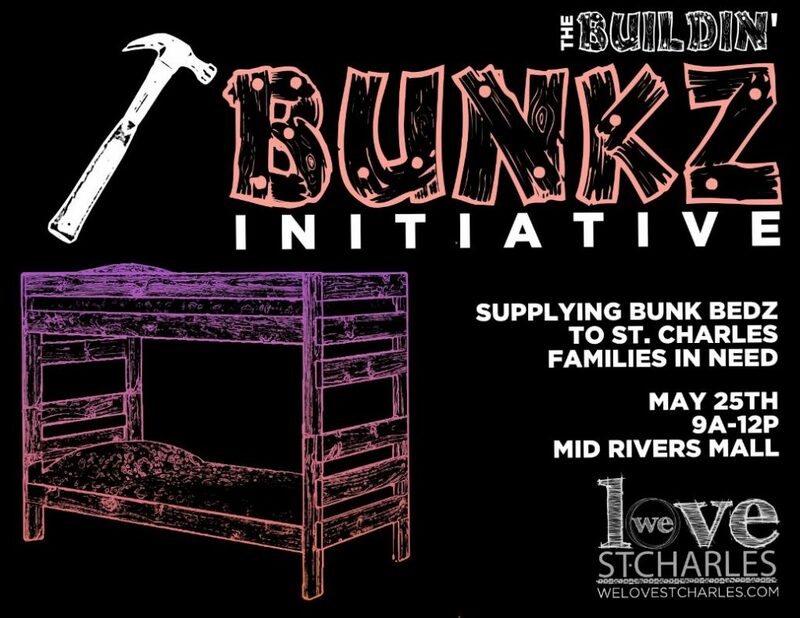 The following will be featured at the event: Free School Supplies, Meet Characters, 1,500 Free Drawstring Backpacks for Kids, Free Breakfast Pastries and Hot Dogs, Wentzville Fire Protection District Fire Trucks, St. Charles County Ambulance District Ambulances, Free Bike Helmets, Activities for Children – Face Painting & More, Giveaways & Prizes! This will be a fun-filled day for families to gather information, coupons and giveaways from local businesses and groups as they prepare to return to school. For more information please call the Chamber Office at 636-327-6914 or visit the Chamber web site. Time to Register for Blitzen the Bars! Well, it’s that time of year again! Time to register for FUN!!!!!! The crawl is scheduled for Saturday, November 5 and as you probably know is the biggest, baddest crawl in St. Charles! Last year we had 600 participants and raised over $19000 to buy Christmas toys for The OASIS Food Pantry kids. Because of the growing demand, last year we closed out in early August, so you need to move quickly to ensure your place at the bar! The price is $35.00 each, which entitles you to a nifty T-Shirt, a lanyard good for drinks at some of your favorite Old Town establishments, snacks and surprises! Invite your friends. The more the merrier! If for some reason you can’t make it, pass the invite on to your friends anyway. Then we’ll raise a glass for you!!!! Hope to see you there! July 1, 2016 By oasisfpIn NewsTime to Register for Blitzen the Bars! We are in need of more students and more volunteers for our Jobs for Life program. Please make any recommendations of people who might be interested. This is a wonderful program to help people enter the work environment. Business Relations Leader – Recruits business partners with entry level jobs and a willingness to consider Jobs for Life graduates as job candidates, organizes student interviews and class presentations by partner representatives concerning their job field. Please click on these links for a PRINTABLE BROCHURE and PRINTABLE FLYER. Your help will be appreciated very much! According to the dictionary, a hero is a person of distinguished courage or ability, admired for his/her brave deeds and noble qualities. Volunteering at a food pantry is not for the faint of heart. There’s a lot of physical work involved. Almost every day volunteers are needed to pick up food or bread or orders of hygiene items. School food drives need to be picked up. Someone has to coordinate all this driving and picking up. It takes a special person to handle this chore. O.A.S.I.S. is so blessed to have a very special volunteer who keeps all these balls in the air. That person is John Nichols. We honor John tonight and his lovely wife, Lorna. Lorna says the Word of God is food for our souls. John and Lorna represent Grace Church in Maryland Heights, MO, on the O.A.S.I.S. Board of Directors. They are retired but stay very busy. John was a school teacher and Lorna worked for AT&T. They love traveling and last October celebrated their anniversary in Hawaii. They not only volunteer at the pantry, but take mission trips to spread the gospel of Jesus Christ. To get some idea of their Christian educational books, check out their “Big Picture Ministries” on Facebook or at their website: www.BigPictureOfTheBible.com. John and Lorna Nichols are the co-founders of Big Picture Ministries, LLC, an organization devoted to encouraging spiritual growth through the study of God’s Word. John and Lorna currently live in Chesterfield, Missouri, and are members of Grace Church-Saint Louis, a non-denominational church, where both are facilitators, leaders, and mentors for Christ. Big Picture Ministries provides resources and services designed to help people better understand the message of the Bible. The goal of Big Picture Ministries is to encourage Bible reading and Bible study, and to promote spiritual growth. Our vision is to glorify God by providing tools designed to help people develop a deeper, more meaningful relationship with the Lord. This ministry provides financial support to Grace Church’s South Africa Missions fund, blessing victims of HIV/AIDS. Take a Swing at Summer Hunger! Throughout the month of June, Harvesters in Kansas City and the St. Louis Area Foodbank are having a little friendly competition to see who can raise the most meals for their community. Leading up to the Cardinals vs. Royals series at the end of the month, the two food banks will be hosting the I-70 challenge. 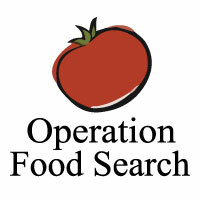 The goal is to raise 70,000 meals between the two food banks by June 30. You can help by donating today, and sharing this information with your friends and family! Every donation counts, and we would love a few bragging rights before the series begins. 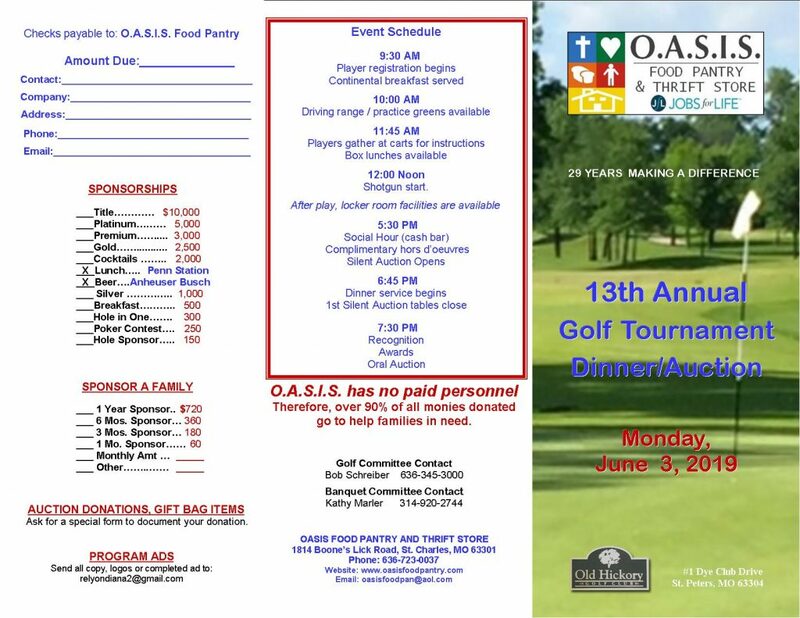 June 12, 2016 By oasisfpIn NewsTake a Swing at Summer Hunger! Thank You to Everyone Who Helped Stamp Out Hunger! On Saturday, May 14, the National Association of Letter Carriers’ Food Drive once again spread out across America to help provide assistance to Americans who are struggling with hunger. The Food Drive effort is the nation’s largest single-day drive. In 2015, 70.6 million pounds of food was collected, which brought the grand total of donations to more than 1.3 billion pounds of food collected since the drive began in 1992. The need for food assistance remains a problem in America. O.A.S.I.S. Food Pantry is a recipient of some of the food collected during this food drive. Thank you so much to all the letter carriers and U.S. postal employees from both St. Charles 63301 and St. Peters 63376 Post Offices for the 13,500 items O.A.S.I.S. received on Saturday. Also a big thank you for the O.A.S.I.S. volunteers who spent time helping us receive and sort those items. Thank you also for your donations on May 14! Your food donations will directly help needy families in your area. Find out more information at the National Association of Letter Carriers website and like the Stamp Out Hunger Facebook page to stay informed. May 15, 2016 By oasisfpIn NewsThank You to Everyone Who Helped Stamp Out Hunger! More of our neighbors are experiencing something many never thought possible in our plentiful area…hunger. Local food pantries are struggling to keep up with the increased demand. The Community Council of St. Charles County and Operation Food Search are teaming up again this year to sponsor the 8th Annual Saturday Jubilee Food Drive. On July 30, 2016, from 9:00am to 4:00pm, volunteers will be collecting food and cash donations at our local grocery stores throughout St. Charles and surrounding counties to support 23 area food pantries. Last year, more than 44,200 food items were collected, and cash donations purchased an additional 1,382 cases of food! Volunteer to be a Store Team Captain: Area grocery stores need to be staffed. If you can organize a group of 10-15 volunteers to staff a store on the day of July 30th and coordinate the volunteers into 2 hours shifts, we need to hear from you now. All information and materials needed are provided. Conduct a food drive at your work, your church, in your neighborhood or as a family project during July.